30 January 2018 Instagram made an important announcement about upcoming changes in operating API, which will affect all and every plugin and service using Instagram data. UPD: Features the urgent Instagram changes made on december, 2018. What does it mean for users of Instagram apps? What does it mean for Instagram web developers? BONUS: Try the Instagram Feed that works! Starting with 31 Jul 2018 and for two years, old Instagram Platform API will be gradually deprecated and its functions will be embedded into Instagram Graph API. 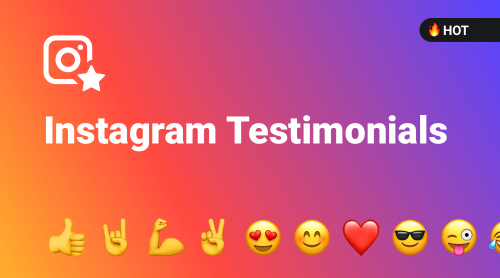 Instagram Graph API – the new interface of interaction with Instagram developed on basis of Facebook Graph API and inheriting all its structural solutions. With the help of Graph API, you will be able to get media, comments, likes, view statistics and take other actions, which can be carried out by applications. Taking into account the great scale of this update and its potential influence on business, the shift will be as smooth as possible and will be implemented in several steps, to give a chance to every affected company to prepare for it. Disabling of old API will be made in three steps. 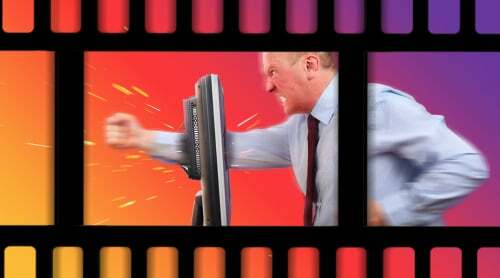 Commenting on Public Content – to add and delete comments on a user’s behalf on public media. Subscriptions – to get notifications when media is posted. Basic – to read a user’s profile info and media. Now Graph API is only a developing tool, and by now its functionality in restricted to work with business accounts. The full access to all accounts is planned to be resumed not earlier than in early 2019. Content Publishing Beta [NEW] – Available to Facebook Marketing Partners and Instagram Partners only. Post an image or photo to Feed with or without a caption. Business Discovery [NEW] – To search and view info about a profile and view feed of other business accounts on Instagram. Mentions [NEW] – To read public posts and comment on posts, which have the business mentioned or tagged using @. Insights – To access and analyze important metrics of your own Instagram for optimization of content strategy. Comment Moderation – More effective interaction with viewers by commenting on Instagram posts. Support for Non-Business Profiles [FUTURE]: Basic permissioning for non-business profiles will be supported in the beginning of 2019. How will I be affected, if I am using Instagram plugin or service? Such a global update most probably will cause inconveniences for users of Instagram plugins and apps, so you need to secure yourself from any problems in advance. Make sure that developers of the plugins and apps you are using have announced support for the upcoming changes and release of updates. Before the total deprecation of API, you need to update your app or find an alternative one, since after deprecation of API your app will stop working. 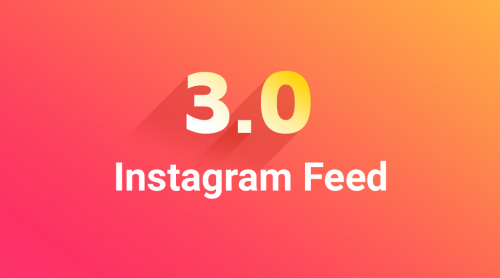 Ideally, the plugin should include automatic updates, since the upcoming changes in Instagram API will cause frequent changes of Instagram connected services. Unfortunately, the only decision for the client will be to stick to the highest quality products. A responsible developer is the one who is prepared for upcoming changes in advance and who will try to adjust the product with minimal inconvenience for the customer. Instagram widget – a small widget to show Instagram profile on your website. Immediately after receiving the announcement from Instagram, our team started developing the update, which will help to pass from old API to the new one without any problems. How will I be affected, if I am an Instagram service developer? All developers of Instagram apps should study Instagram Graph API documentation carefully. The first changes involving the current API are scheduled for 31 July 2018, so you still have time to adjust your products to the upcoming upgrade. Shifting to Graph API is a step forward to new possibilities for developers working with Instagram data. Taking as an example Facebook Feed, which was developed by our team using Graph API, I can say that this tool is very cool and flexible, providing solution for almost every task. The old Instagram Platform API cannot boast the same flexibility. We hope that Instagram will stand with developers and grant us full capabilities for working with data. As I am a developer, for me it is very important, whether permissions will be available to me, or whether they will be distributed under some conditions, which are not too clear sometimes. In the beginning Instagram Platform API was available for everyone, but then permission request scheme was introduced. As far as I know not, it wasn’t very easy to be granted a permission, even with clear using purposes. I have heard a lot about cases when some service developers successfully received the access but others could not, though their service was identical. I hope that the new version of Instagram API will be available for all developers or at least the access conditions will be clear. Try the Instagram Feed that works! Our plugin supports all Instagram API changes.